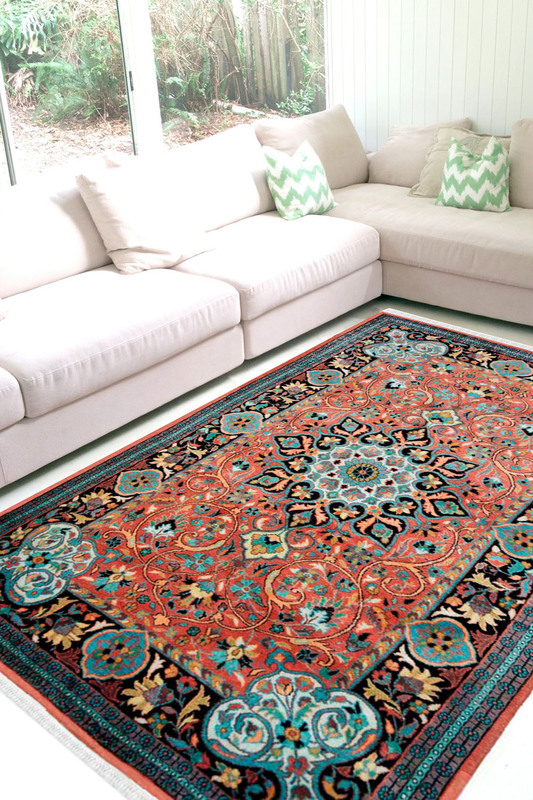 - This beautiful Kashan Asharfi is handmade in synthetic silk and a mix of wool. - The design is kashan which has been originated from a province in Iran called Kashan and has taken about 3-4 months to weave it. - Main colors of this rug are pale pink, soothing blue and hints of black. - The center has a traditional shaped medallion with a floral pattern around it. - The border is very intricately woven and has 4 big motifs on each corner. - This rug can be used as a feature rug in any given space with subtle interiors.